As the Looe Literary Festival approaches it presents a great excuse to reproduce some of the words from one of my favourite pieces of descriptive Victorian writing –Rambles Beyond Railways, by Wilkie Collins. 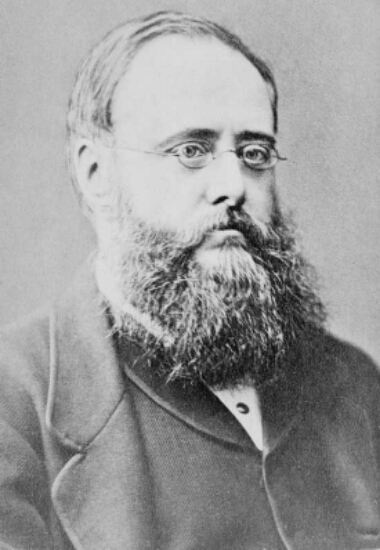 Wilkie Collins is best know for his novels, however this publiction is a rare gem of his social observation. Ramble beyond Railways is a Victorian provincial traveller’s view of Cornwall, and it makes a fascinating read. I have often used his rich description of South Caradon Mine, a description that brings into animated life the silent remains of this once great industrial complex. But that description can wait for another post. 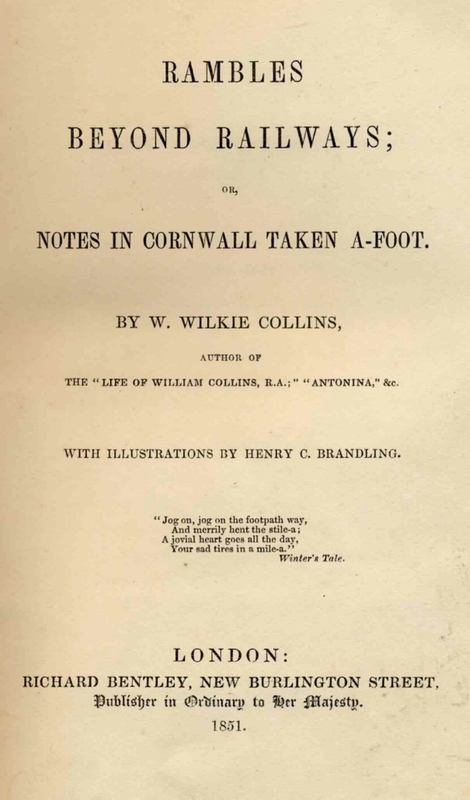 This time it’s Wilkie Collins’s Looe. Looe is known to have existed as a town in the reign of Edward I.; and it remains to this day one of the prettiest and most primitive places in England. The river divides it into East and West Looe; and the view from the bridge, looking towards the two little colonies of houses thus separated, is in some respects almost unique. At each side of you rise high ranges of beautifully wooded hills; here and there a cottage peeps out among the trees, the winding path that leads to it being now lost to sight in the thick foliage, now visible again as a thin serpentine line of soft grey. Midway on the slopes appear the gardens of Looe, built up the acclivity on stone terraces one above another; thus displaying the veritable garden architecture of the mountains of Palestine magically transplanted to the side of an English hill. Here, in this soft and genial atmosphere, the hydrangea is a common flower-bed ornament, the fuchsia grows lofty and luxuriant in the poorest cottage garden, the myrtle flourishes close to the sea-shore, and the tender tamarisk is the wild plant of every farmer’s hedge. Looking lower down the hills yet, you see the houses of of the river, in mazes of little narrow streets; curious old quays project over the water at different points; coast-trade vessels are being loaded and unloaded, built in one place and repaired in another, all within view; while the prospect of hills, harbour, and houses thus quaintly combined together, is beautifully closed by the English Channel, just visible as a small strip of blue water, pent in between the ridges of two promontories which stretch out on either side to the beach. Then, when you have at last threaded your way successfully through the streets, and have got out on the beach, you see a pretty miniature bay, formed by the extremity of a green hill on the right, and by fine jagged slate-rocks on the left. Before this seaward quarter of the town is erected a strong bulwark of rough stones, to resist the incursion of high tides. Here, the idlers of the place assemble to lounge and gossip, to look out for any outward-bound ships that are to be seen in the Channel, and to criticise the appearance and glorify the capabilities of the little fleet of Looe fishing-boats, riding snugly at anchor before them at the entrance of the bay. The inhabitants number some fourteen hundred; and are as good-humoured and unsophisticated a set of people as you will meet with anywhere. The Fisheries and the Coast Trade form their principal means of subsistence. The women take a very fair share of the hard work out of the men’s hands. You constantly see them carrying coals. Whilst the author mentions the discharging of coal, he fails to make any reference to the huge amounts of copper ore traffic that would have been passing through the small port during his visit. A strange omission, considering his visit to the Caradon mines, and the fact that the quays would have been covered in piles of ore awaiting shipment to South Wales. The full book can be obtained from Amazon, several editions are listed in the Navsbooks A Store on the Navsbooks Reference page. Thank you for posting this Wilkie Collins extract, it’s interesting to see how he viewed Looe in the C19th – and to know that not so very much has changed.